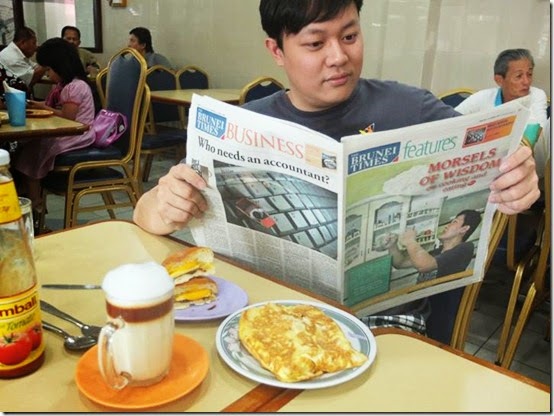 I wrote this guide when it was 2012 and have been updating it to help Bruneians, Expats and Tourists to find good food in Brunei – country of unexpected treasures – especially food! We Bruneians are a very hospitable bunch and we love visitors! This post is meant as a guideline for visitors who want to explore the dining scene in Brunei and also for locals who want ideas on where to eat. Note: Not being included in this list does not mean the restaurants are not worthy. 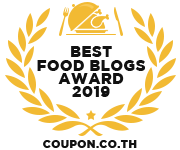 There are still plenty of good restaurants that won’t be listed in this list – in such a short time – and limited stomach space – I would narrow it down to a few of my favourites! A combination of cheap affordable eats as well as those willing to spend more for quality food! 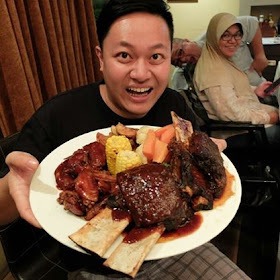 You should also check out my food and travel guide – which has a huge list of Bruneian restaurants as well as personally tried and tested travel guides! Mmmm so much choices ~~ but where to eat? Edit: Recently readers have requested for me to label whether restaurants are halal or not. For this guide – I will highlight if the restaurant serves pork (non halal). The other restaurants which do not have the label would be pork free. I’ve also added address and telephone numbers for some of the restaurants. Getting around using taxi might be expensive and troublesome in the past but now in Brunei we have Dart – which is an app just like Uber/Grab to get you from place to place. The only problem is that you cannot get a Dart to pick you from airport but anywhere else its fine. A very handy app to have and you can just pay the drivers using cash. Click on the Dart App Poster to download the app on your phone. Simpang 5, No. 10, Jalan Gadong, BSB, BS 8670, Brunei Darussalam. This cake house specializing in traditional Malay cakes is one of the best places for tea. There are a wide variety of really good traditional cakes to choose from and I must mention I am a fan of their Nasi Lemak Ayam (Braised chicken with coconut rice served with a spicy chili jam). Sapphira has a branch in Kiulap but recently opened up a new branch in Bandar so be sure to check them out! Lee Loi Fatt has a long history in Brunei - serving great rojak, deep fried fritters dipped with rojak sauce, fried chicken wings, laksa and signature iced drinks like ABC or Cendol. Their first branch began in Kuala Belait district - and due to popular demand - opened up two branches in Bandar - both filled with happy patrons who are big fans! I personally love their deep fried fritters and chicken wings - washed down with a nice glass of ABC ~~ ahhhh ~~ great place for afternoon tea! 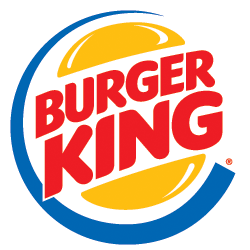 They have a branch at Times Square which is near the airport - or go to their branch in Kiulap. This place simply has the best murtabak. Good crispy fragrant texture, served with delicious condiments like sardines and corn beef, this place is my favourite place for Murtabak. It’s so good, friends from Singapore actually felt this is better than their native Roti Canai! Their Roti Kosong is simply good enough to eat on it’s own but even better with the condiments and curry! My personal favourite condiment is the sardine! A special mention goes to their Roti Pisang (Banana Murtabak) and be wowed! No trip to Brunei is complete without a tour around the night markets in Gadong. One can bring $5 and have a very very filling meal in these night markets. Grilled chicken, fish and satays are widely available here. Don’t miss Hati Buyah, a marinated and stir fried sliced beef lungs, Ayam Tongkeng (chicken butts!! ), pulut panggang (glutious rice stuffed with beef or prawns, wrapped with banana leaves and grilled), Kuih Melaya (Malay style pancake with peanuts, condensed milk and raisins) and lots of good thirst quenching drinks like Samboi (sour plum) and coconut juice. Your trip in Brunei is not complete without a visit to our popular night markets! Oh My Food! Address: Behind Rizqun Hotel at the Mall Gadong – ask the locals for walking directions. They are very friendly! Tamu Selera is located right opposite Terrace Hotel and next to St Andrews’s Church. It has plenty of food stalls for you to enjoy a cheap delicious meal ranging from local style economy rice, grilled satays, ayam penyet and ayam bakar, and even seafood! My personal favorite Ayam Penyet is from Store number 5 Gerai Mak Siti and the Cucur Tempeh and Tauhu from Store Number 7 (They have very good sambal which matches perfectly with indomie)! The ayam bakar from store G26 is my favourite stall out of the bunch! A spiced comforting soupy bowl of noodles or rice vermicelli topped with chicken or beef and garnished with chilies and herbs, Soto is a must try when you visit Brunei. Here's two places that have serve Soto - one of Brunei's iconic beef noodles - with a great view! Nasi Katok in Brunei has a long history where you can get very cheap $1 rice with chicken and sambal. The story is that peope would knock on the door (katok) to order nasi from the Nasi seller – hence the name nasi Katok. Over the decades the Nasi Katok has evolved into many versions but the following are good notable variations of our traditional nasi katok – and can you believe it’s only $1!? The famous Nasi Katok place that has a lot of different sambals to choose from - you will definitely find something that suits your needs! Fried chicken, steamed rice, your choice of sambal for only $1 each. My favourite is the Sambal Cheese which taste a bit like Jollibee spaghetti ~~~ a must try! To find it, its simpang 94 is just right after Gong Cha Delima (opposite Maktab Sains) .. turn in spg 94 and drive straight till you will see a pondok selling Nasi Katok on your left! What’s special about Nasi Katok Lily is that instead of fried chicken, they actually serve lovely honey grilled chicken and their sambal does pack a punch! It’s no wonder they are a true gem in Lambak and well loved by the locals. Be sure to try their grilled ayam tongkeng! During the hard times, there was a shortage of food so the Bruneians managed to create this dish called Ambuyat that provides the neccessary carbs to survive and this has now become a national dish that is always associated with Brunei. Below are some popular places for Ambuyat that I usually go to. Situated in Kota Batu, Tarindak has great view of the Water Village as well as a showcase for Handicrafts for tourists to have a look. They also boast a great selection of local food and desserts in their affordable buffet, including the iconic Ambuyat, which is a must try for tourists. I personally like their spacious comfortable setting and good service. A great place to showcase traditional Bruneian cuisine such as Ambuyat, Belutak, Pais, Daging Lalap and much much more~~ give them the traditional Bruneian cuisine experience! Just order the Ambuyat normal or special sets. The Ambuyat set at Soto Pabo is really good too and it has the unique smoky fish dip that I really liked! What began as Old Klang Road Curry Puffs which was a big success and even claiming the title of my favourite curry puffs is now rebranded as The Curry Puff Factory – now located in the Kiulap building behind SKH Departmental store. These are bound to make you happy ~~ I usually buy them for 10 in a box at $7. Naturally since Brunei is located in Borneo Island and is at the coast, we have an abundance of seafood to offer. While many have their favourites – I prefer to have my seafood either at Neptune restaurant or GK restaurant but GK wins thanks to better value for money and consistency in terms of taste and service. Located at Jerudong, GK restaurant is very popular for family dinners – serving good Chinese food and if you have special occasions – you can prebook this lobster platter for special occasions! A great place for seafood and local Chinese cuisine. In my opinion, the most affordable and value for money seafood restaurant. Service is good making this place a regular pick for my family to celebrate and enjoy seafood dishes. Family dinner with lots of seafood at affordable prices. Brunei has quite a popular cult following for Indonesian Cuisine – especially Ayam Penyet! Below are the listed popular spots for Ayam Penyet and Indonesian Cuisine in Brunei that I tend to frequent! Warung Pojok is quite the hidden gem in Brunei as it’s actually located in a food court called the Nanyang Pantry at Gadong Properties. Their Indonesian food is pretty good and if you don’t mind a food court self service ambience – this place serves some of my favourite Indonesian dishes such as this gorgeous Ayam Kalasan! I also enjoyed their Sup Tulang Merah which is slightly sweet spicy delicious gravy like that will go well with rice or dipped with bread! Laksa Kari Melayu reminds me of Assam Laksa but more thicker and fishier ~~ closer to Trengganu style of Laksa. They also serve ketam and udang masak sos Padang which is pretty reasonably priced! Be sure to preorder with them! Located on the first floor of Bandar’s iconic bus station, Sup Tulang Ibu Rokiah has a rich broth and tender off the bone beef chunks that are bound to wow your tastebuds! I usually come here for lunch or tea time. This place is a hidden gem well loved by the Indonesians who work in Brunei! I think Bamboo Garden restaurant has my favourite fried chicken for ayam penyet as you can see the amount of herbs and spices on the crispy skin of the chicken. Their sambal is a lil on the sweeter side so it might not be your favourite but I’m more of a fried chicken person ~~ for better Sambal, go to Hameediyah Restaurant near OGH/DeAnggerik. Be sure to check out their Kolomee Extra Pedas (spicy kolomee) as well as their steamed chicken rice! The Nasi Lemak has a very crispy fried chicken that I liked and you will need to wait 20 minutes for this as they only fry the chicken from scratch to ensure the quality. Bamboo Garden restaurant should also be in the Chinese restaurant section as they serve quite good halal Chinese dishes too! Hameediyah Restaurant is located near the roundabout next to Orchid Garden Hotel/De Anggerik Apartments. They are famous for their Ayam Penyet with their signature sambal. When you have lunch here, you will see 90 percent of the diners enjoying the Ayam Penyet here. A lot of people voted this place as their favourite Ayam Penyet in Brunei. The Salted Yolk trend mixed with our Bruneian’s love for Ayam Penyet created this indulgent Salted Yolk Ayam Penyet special from Siti Rabiah’s restaurant. It is enjoyed with sambal, fried rice and sunny side up egg. A dish that is super rich and a must for salted yolk lovers. When I mentioned to any tourist or anyone outside of Brunei that we are famous for our Japanese cuisine, most would shake their head in disbelief. Granted in terms of high end Japanese kaiseki or omakase, we might be able to provide that but for budget and mid range affordable sushi, it is difficult to beat Brunei’s Japanese restaurants in terms of value for money/cost performance ratio! One of Brunei’s main attraction is Excapade Sushi. People from Miri and KK actually put Excapade as their must go place for Japanese food when they visit Brunei. It’s very affordable yet good quality sushi. If you had tried budget sushi places in Malaysia, Singapore and Australia – you will be surprised that Excapade is pretty good value for money. They have many branches throughout Brunei but I always prefer the Gadong branch. Their Japanese buffet during month of Ramadhan is so famous that people travel from overseas just to try it! For special occasions, we tend to like Kaizen for their better ambience and service especially the waterfront branch with a good view. Making a reservation is essential here so be sure to call and book in advance if you want to get a table. 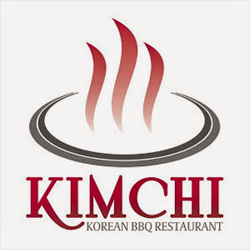 Located at Regent Square in Kiulap and it’s right next to a the most popular boutique Deseo, Kimchi has great range of Korean cuisine, BBQ and desserts. This is my go to place for my Korean Food cravings. Good service – great ambience and of course – halal certified! I am a big fan of their Korean BBQ selections, Korean seafood pancake, Korean Fried Chicken, and Pat Bing Su – the Korean style iced dessert! Their Kimchi Fried Rice with chicken and sizzling cheese is one of my favourite things to eat for lunch! Never leave Kimchi without having their Korean style Ice Kacang! Patbingsu! You think Brunei doesn’t have good Western food? You are in for a big surprise. Our pizzas are easily the best in Borneo island. Don’t believe me? Come check out the top two pizza places in Brunei and be amazed! When it comes to Pizza, I tend to lean towards Sorisso and Coffee Beans – while Margarita Pizza seems to have a cult following – it’s not my favourite type. Sorisso in my opinion is the best Italian restaurant in Brunei – hands down. My favourite is their Sorisso pizza, which consists of thinly sliced raw beef carpaccio, with shaved parmesan slices and truffle oil. Authentic pizzas and pastas, as well as a good selection of Anti-pastos prepared by an Italian Chef Salvo is extremely friendly and fun to have around! Look out for their specials from time to time such as lobsters, truffle burgers and foie gras! One might be surprised to find a well known international franchise here but Coffee Bean and Tea Leaf branch in Mata Mata deserves a place here for their American style Pizzas and Pastas. They have quickly established themselves as one of the best Brunei has to offer despite having a different style from the traditional Italian style. Of course – there’s good coffee and tea drinks to match their range of American style cuisine! Visit either the branch in Mata Mata or Times Square for the branches that serve Pizza and Pasta! Their pizza is more rustic and is different but I assure you – they are yummy! We have quite a lot of influence especially from UK and Australia so it’s natural that we have very good cafes and cakes, from chefs and baristas trained overseas and opened their own humble cafes in Brunei! This café is raved for their exquisite desserts that are attracting quite a crowd! A family run business where both mother and daughter are passionate about great desserts and good coffee. They’re located at Regent Square Kiulap opposite Kimchi restaurant’s block! There’s a good reason they named this dessert Heavenly Chocolate! MrBaker’s Bakeshop is my go to place for premium healthy breads. They have one of the best croissants in Brunei and their bagel sandwiches are pretty good! Recently – they rennovated their Gadong Central branch and renamed it Brew Café! Do check it out! All outlets are closed on Fridays from 12:00 pm – 2:00 pm. Flour and Butter is one of the rising stars in the cafe scene and is very popular for their good food and coffee. I personally like their grilled chicken dishes as well as their waffles. They also serve good coffee and crepe cakes here – making it a good place for brunch! Dane’s Café is one of it’s kind in Brunei for being the first Non-Halal café and also serving arguably the best kolomee in Brunei. The café serves authentic Kuching kolomee but I am very fond of their Kolomee Special, which adds bacon and a sunny side up egg! Simply heavenly! I’ve since received a lot of positive remarks about Danes Kolomee from travellers and locals alike agreeing with me, while taste is subjective and you have your right to declare your favourite – this is still the kolomee to beat in Brunei in my opinion. I loved the superhero themed tables and the cosy dim settings! They also serve good coffee and other bacon goodness sandwiches and all day brunches ~ #neverenuffBACON! I also highly recommend their Coconut Cheesecake which is simply divine! #favcheesecakeEVA! Oooo that lovely pork burger! Operated by a passionate lady boss who loves coffee – Piccolo, located in Bandar – facing the waterfront is wowing many coffee lovers to her lovely down to earth café. Many are big fans of her salted chocolate tart and other desserts – but their coffee and good service are what draws in their loyal customers. Rack & Brew entered the Brunei Cafe scene with a delicious twist when it comes to their sandwiches, special crispy chicken skin Kolomee and I am a big fan of their Nachos! They are the first Boutique Cafe in Brunei, combining what women love most – eating cake, having tea/coffee and shopping! Their first floor is a very hipster vibrant cafe with good food and coffee while 2nd floor displays hip and chic fashion inventories for the ladies! They might be the new coffee roaster in town but they serve in my opinion one of the best coffees here! Do pop by here to try their vintage cappucino and my fav Roasted Sip Signature Mocha! Located opposite the famous GK Restaurant in Jerudong! Note: recently they have opened a new branch at Serusop which is pretty near the airport! All Time Delights also maintains the previous famous fluffy pancake and crepe dishes from Paddington House of Pancakes so you get the best of Western vs Nyonya under one roof! High Frequency Café not only offers a cosy hipster ambience for you to enjoy your coffee – but they actually make really good coffee! One of my favourite places to enjoy a cuppa while serving a good range of delicious brunch and dinner items. Feel like taking someone special out for brunch or dinner? Or just want to pop by for a chat with friends over a cup of coffee? High Frequency is always a good choice! Operated by the same owners of High Frequency - Alter Ego Fusion has a great selection of dessert and food in a very instagrammable cafe setting. For a place with good ambience and dining, Tasek Brasserie is one of the better places for a good Western dinner. They usually have dinner buffets but it’s a great place for ala carte dine in as well. I sometimes love to sit at the poolside and order tidbits like fish and chips or deep fried squid. Pictured is one of the best seller, steak sandwich which has a hefty price tag but its one of my favourite sandwiches! Besides having one of the best mushroom soup in town – their vegetarian butternut olive gnocchi is one of the best vegetarian options I’ve tasted in Brunei. Seri Damai which is located at Kiulap is one of the best places for naan and down to earth delicious curries. They had been around for ages and if you haven’t have a taste of their naan and curries ~ you are really missing out! Amsarra has earned a cult following with their grilled chicken that is comparable to Nandos as well as other interesting Mediterranean favourites like baba ghanoush, hummus etc. The owner himself who has studied in the UK is very passionate about food and aims to bring as much to the table as he can with new dishes from time to time. This Lamb madfoon is slow cooked lamb with Lebanese 7 spices, saffron, almonds and apricot served with rice and roasted chilli. Good stuff! Their Lamb Shashuka is pretty yummy as well! Great brunch! I also find their pricing pretty reasonable for the quality they are serving so if you are in a mood for some Lebanese Mediterranean eats ~~ drop by their branch at Annajat! Thai food is also very popular in Brunei. Two of the restaurants below are the ones I frequent as well as KNY Kitchen, and Aqil Shafee at Jerudong is pretty good as well. Located in Kiarung. Nur Wanita feels like a classy Thai restaurant (Northern Thai and Chiang Mai style) and serves both traditional and modern creative Thai style cuisine. I personally loved their Crispy Deep Fried Kang Kong and their Spicy Green Curry Spaghetti. Good service and ambience – a must try if you love Thai Food! Recently, they opened up a new branch at Serasa beach – adding excellent beach side ambience to their good Thai food! I quite like their fried century eggs with basil~~ YUM!! Brunei has quite a lot of selections when it comes to Chinese restaurants though most of my favourite ones are Non-Halal. 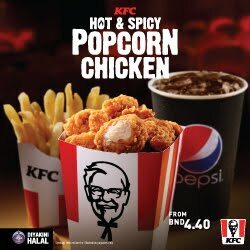 While many think that Brunei being a Muslim majority populated country will not have much non halal food, I have to say our choices are pretty good! Here’s a list of my favourite restaurants serving good Chinese cuisine in Brunei! While Thien Thien Chicken Rice is most famous for their fragrant chicken rice and succulent chicken – I am a big big fan of their yellow noodles tossed with shredded chicken and beef tripe – with lots of their Hainanese chili! Seriously GOOD! Famous for their Curry Fish Head, they are also the go to place for good Chinese cuisine. Be sure to check out their signature tofu, German Pork Trotter and Thai style soft shell crabs (my favourite soft shell crab dish in Brunei!) Delicious! Located in Gadong just behind the Mall. If you ask me what my favourite place for roasted pork is –it would be Bee Hwa in Kiulap. Good place in Brunei for roasted pork, roasted duck and charsiew rice ~~ located at one of the Kiulap commercial shoplots – this place is packed during lunch and their roasted meats sell out pretty fast! We don’t need to drive down all the way to Seria for good Seria Kway Teow as this restaurant located just right opposite Jing Chew serves one of my favourite kway teow in Brunei. Enjoy with their dark sticky soy sauce and lots of sambal for your ultimate kway teow pleasure!! I must say they have quite a selection of good quality Kuching style dishes such as this gorgeous Tomato Kway Teow! Delicious Indomie Goreng with Ba Teng (Spiced Pork Cubes) and eggs. Must try! Their Thai style Indomie stir fried with sweet basil and mince meat is pretty epic too! Menglait Area at the stretch of workshops. Address: The pork market – turn in on the road between Terrace Hotel and Radisson Hotel In Bandar. Located on the block just next to the famous Jing Chew – Ching Nam Hong serves pretty good baked pastry stuffed with charsiew as well as famous for their fish dishes. You can try their claypot fish stew or their fish slices with bittergourd bee hoon! I’m also a big fan of their beef brisket kolomee and their home made seafood tofu ~~ I tend to order these two to enjoy when I’m dining here. They only open morning and afternoons. Filipino food has been hailed for it’s richness and comfort food. A visit to Renyi restaurant to sample their Filipino cuisine is a must! You won’t be disappointed! Just make sure you go during lunch time! Address is in Menglait Gadong – read the post for driving directions. Mytown Eating house is a locally created heritage style restaurant that features great food created specially for the Bruneian taste but with affordable local prices! One of my favourite dishes is their chicken skin fried kway teow ~~ *swoons* They also offer freshly baked buns and tarts daily so be sure to pop over for a quick snack or meal! Honourable mentions: Gold Leaf also serves quite good roasted and barbecued pork (suckling pig only on Sunday). Ideal Restaurant is another local franchise you should try - for their delicious honey chicken! Disclaimer: There are probably some gems that I missed which should be in this list – but these are the favourite places for me to dine in lately! Thanks for you recommendation! I've heard of this restaurant from Nonnie and Maurina but I have not got the pleasure to dine in KB for a very long time! Will definitely drop by if I had the chance!